A member of Projects Abroad staff meets all volunteers upon arrival at your respective airport's arrival area with an A4-sized laminated “Projects Abroad” sign. Volunteers who are based in Arusha will land at either Arusha or Kilimanjaro Airport, while volunteers based in Moshi will land at Kilimanjaro Airport. Kilimanjaro airport is about a one hour taxi ride from the town of Arusha, whereas Arusha airport is about 20 minutes from the town centre. It is also possible for a member of Projects Abroad staff to pick volunteers up from the bus station in Arusha if you decide to travel from Nairobi or Dar es Salaam by bus. Volunteers based in Arusha live in various districts in and around the town. Some volunteers live in Arusha town itself, whereas others live in an area called USA River which is about 40 minutes east of Arusha or in the Monduli district about one hour west of Arusha. You will be transported from Kilimanjaro Airport by taxi to your host family. During peak hour traffic, it will take approximately two hours to drive from Kilimanjaro Airport to to Moshi. When the roads are quiet, it will take about an hour. For both placements, you will be introduced to your host family and then have some time to unpack and settle in after your long journey. All volunteers in Tanzania will need to apply for a local Business Visa once they arrive in the country. This currently ranges from US$250-$300 based on your nationality and where you are located (either in Arusha or Moshi). While a Projects Abroad staff member will assist with this process, the expense is not included in the Projects Abroad prices and must be paid by you. If you are traveling for longer than 90 days, you should contact a Volunteer Advisor for more information. You will have your induction on the next working day after you have arrived. A member of staff will come and pick you up from your host family and show you around the town. You will start the day by going to our office where a member of staff will go through the Tanzanian Handbook with you, including all the necessary safety and security measures. You will then be taken around the town of Arusha or Moshi and shown important sites and landmarks including internet cafes, the post office, where to change money, and how to get to each place from your host family. You will also be shown where other volunteers live and get the opportunity to meet some of them. Depending on the time and your program, you may be introduced to your placement on the same day as your induction. If not, we will pick you up and take you the next day. We will show you how to use public transport so that you become familiar with the route and landmarks. If you are volunteering on a Standard Project, all necessary work-related transportation costs will be covered by Projects Abroad. The majority of our volunteers stay with host families. However, a few volunteers stay at the centre where they work. 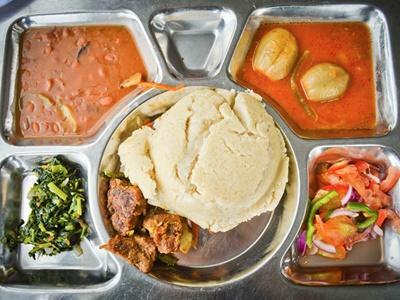 Tanzanian people are known for their hospitality and you will experience this first hand when you meet your family. The houses are spacious and usually have a garden or outside terrace where you can relax and enjoy the breathtaking scenery. 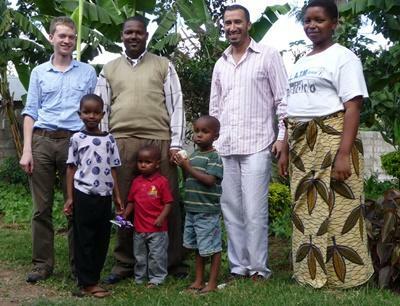 You will get an authentic Tanzanian home-stay experience. Host families speak Kiswahili and some English. The children in the host families are always eager to teach the volunteers Kiswahili and practice their English. Vegetarians can easily be catered for. 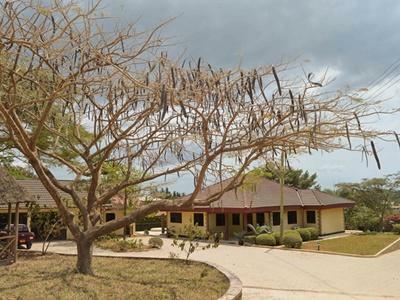 Our Projects Abroad office in Arusha is based near the centre of the town on the road leading to USA River. The office is large and spacious and has an outside area where volunteers can relax. Buses stop right outside the office making it easy to access. Both the offices in Arusha and Moshi are spacious and not only have work areas for our members of staff but also workshop rooms where doctors and teachers come and talk to the volunteers on a regular basis. There is equipment in both offices for the volunteers including materials, books, and medical equipment. Finally there is also a room for the volunteers with comfortable chairs, a water cooler, and local newspapers and books to read. Tanzania has two main seasons. Summer (dry season) occurs from June to November and winter (wet season) takes place from December to May. In the northern and eastern regions of the country (where Projects Abroad is based), the rainfall is bimodal, with two rainy seasons. The 'short rains' or Vuli last from October to December, and the 'long rains' or Masika last from March to May. Volunteers should bring a jersey and jacket with them as it can get chilly. At the end of your placement we will arrange your journey back to the airport by taxi. If you are based in Arusha then it will be to Arusha or Kilimanjaro airport, if you are based in Dar es Salaam then it will be to the Dar es Salaam airport.